Chivas will try to avoid elimination in the Champions League quarterfinals against the Sounders on Wednesday night. The popular club from Guadalajara allows only Mexican players, a policy that is hurting its legacy on a competitive global soccer scale. GUADALAJARA, Mexico – Ricardo Alvarado says he cheers for his hometown soccer squad the same way he would a national team. And for many of this country’s fans, the historic Chivas side from Mexico’s second-largest metropolitan area is indeed a de facto “national’’ squad. It’s one of only a handful of teams worldwide that doesn’t allow foreign players; a gift for ardent Mexican nationalists and at the same time a curse for a legacy side finding it increasingly difficult to compete in a global soccer universe. 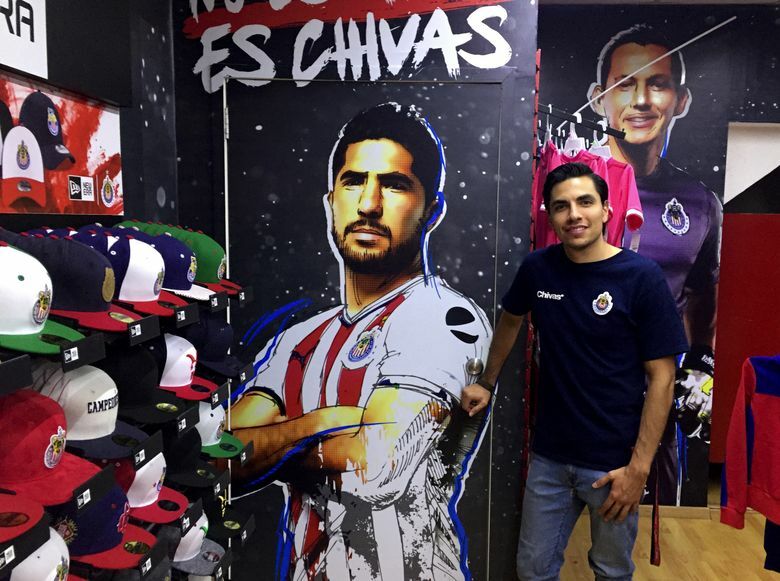 But Alvarado, 29, who manages one of four official Chivas team stores scattered throughout this artisanal city of 1.46 million, says the 112-year-old side is an important cultural touchstone. 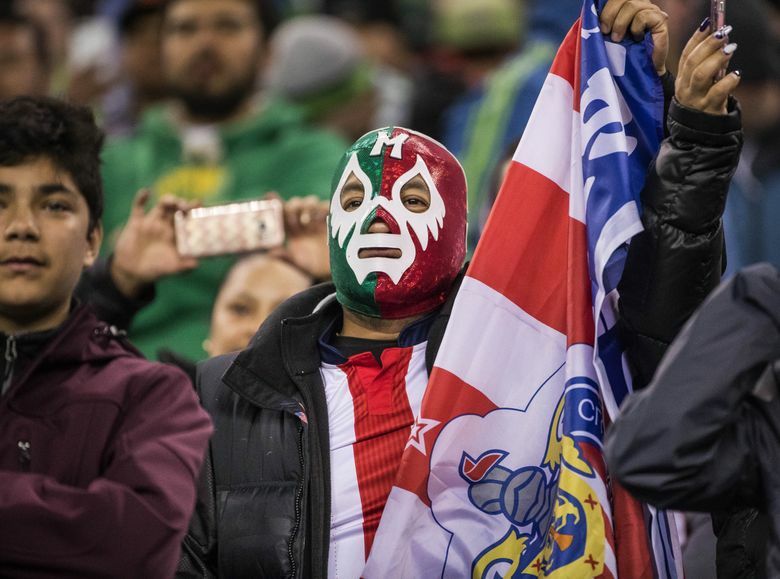 And he’ll be one of thousands of ardent supporters rooting them on against the Sounders here Wednesday night as Chivas attempts to stave off CONCACAF Champions League elimination. A 2016 study by a sports-marketing institute in Spain found that Chivas – officially known as Club Deportivo Guadalajara – is Mexico’s most popular team, enjoying the support of 44.2 percent of this country’s soccer fans. It qualified for this Champions League tournament by winning last spring’s Liga MX Clausura, its record-tying 12th overall national title. But only four of those titles have come since 1970, sparking periodic debate about whether its non-foreigners rule should be relaxed. Last year’s championship was its first since 2006 and in the interim the team barely staved off dreaded relegation to the second division. And judging by its 2-4-5 record to start in Liga MX play this season, this Champions League tournament against the best club teams in North America, Central America and the Caribbean might be the closest Chivas gets to glory for the next little while. The Sounders notched a 1-0 win in the quarterfinal aggregate series opener last Thursday at CenturyLink Field. It was one of three opening-leg triumphs by Major League Soccer teams against Liga MX opponents, which caused a fair bit of hand-wringing by soccer purists in this country. No MLS team has won the Champions League since it was reformatted in 2008. For Alvarado, the setbacks were a big deal and bring added pressure to this week’s games. Sounders assistant coach Gonzalo Pineda knows the pressure of donning the famed red-striped Chivas jersey. He spent three seasons with “The Goats” and was part of their 2006 championship side. But he agreed that not having foreigners has made it difficult for Chivas to stay on top. “The quality that certain foreigners can bring to a team is huge,’’ he said. Instead, Chivas continues to rely heavily on its youth academy to develop players from within. Their championship win last year over rival Tigres UANL was seen by Chivas fans as a victory of sorts for their all-Mexican stance. Those fans should be on patriotic display Wednesday at 46,000-seat Estadio Akron, a luxury-suite laden facility built in 2010 by team owner Jorge Vergara. The stadium is in a suburb about 20 minutes from downtown, surrounded by vacant land and hard to get to due to a lack of public transit. 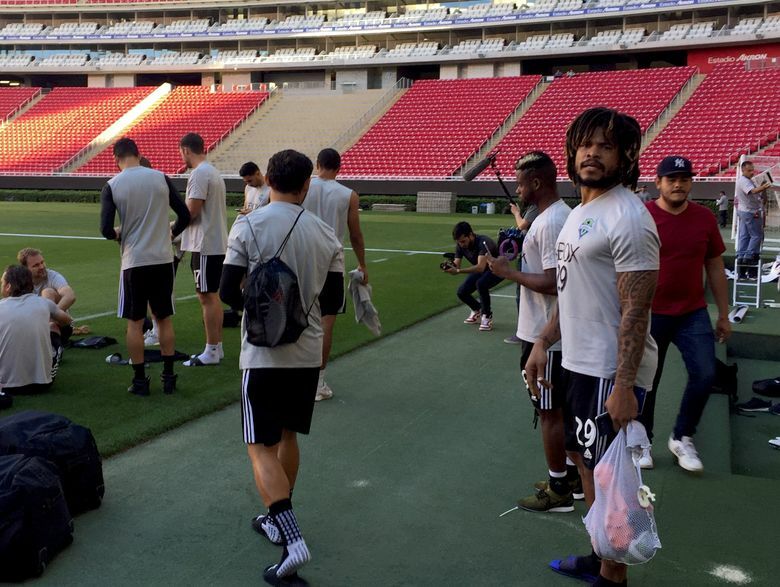 That’s been an irritant for the team’s blue-collar loyalists and might limit just how many make the mid-week trek to see a struggling Liga MX side potentially be eliminated by an MLS squad. Word late Tuesday was that the turnout on Wednesday could be as low as 16,000. Also, that the home fans might be more apt to turn on Chivas at this stadium if things go sour early on. But Sounders coach Brian Schmetzer said upon arrival here that he isn’t taking anything for granted. “Any time you have a chance to knock off an opponent as prestigious as Chivas, you have to take advantage,” he said. Those fans that do show up Wednesday will inevitably be vocal — perhaps with a touch of anti-American sentiment, given all the talk of border walls and such — just as they were last week in taking over vast swaths of CenturyLink Field and outcheering Sounders fans on occasion. Chivas owner Vergara tried a similar type of approach with his MLS expansion side Chivas USA. But his idea for a mostly Mexican American squad catering to the Hispanic community in Los Angeles proved a flop for myriad reasons. Chivas USA folded in 2014. 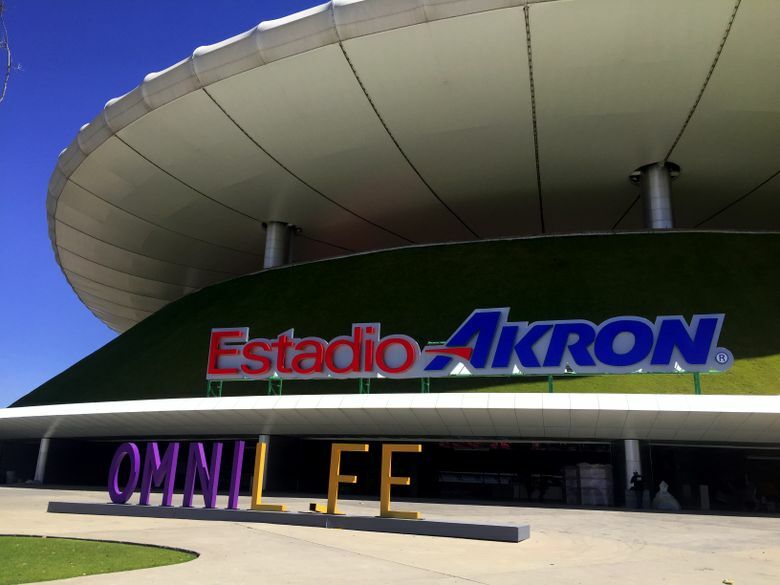 But down here, the tradition lives on — even though GM Gabriel says it’s tough to compete against free-spending teams in Liga MX that “buy players” from other countries. The top Mexican players also drive hard contractual bargains with Chivas, knowing the team has little leverage if it wants to compete. Gabriel said the pressure has been ratcheted up even more on Chivas since capturing last year’s title. And that pride could come into play here on Wednesday. with Chivas trying to meet the expectation not only of a city but an entire nation.